Coming monday we will give a lecture at a seminar on the future of web typography. This seminar takes places at the Brakke Grond in Amsterdam. In our lecture ‘Web typography sounds good, but looks awful’ we will highlight some often overlooked elements of web typography. The unsurpassable Frederik Berlaen will also give a presentation, and you can do a crypto typeface game with the madmen of Autobahn. 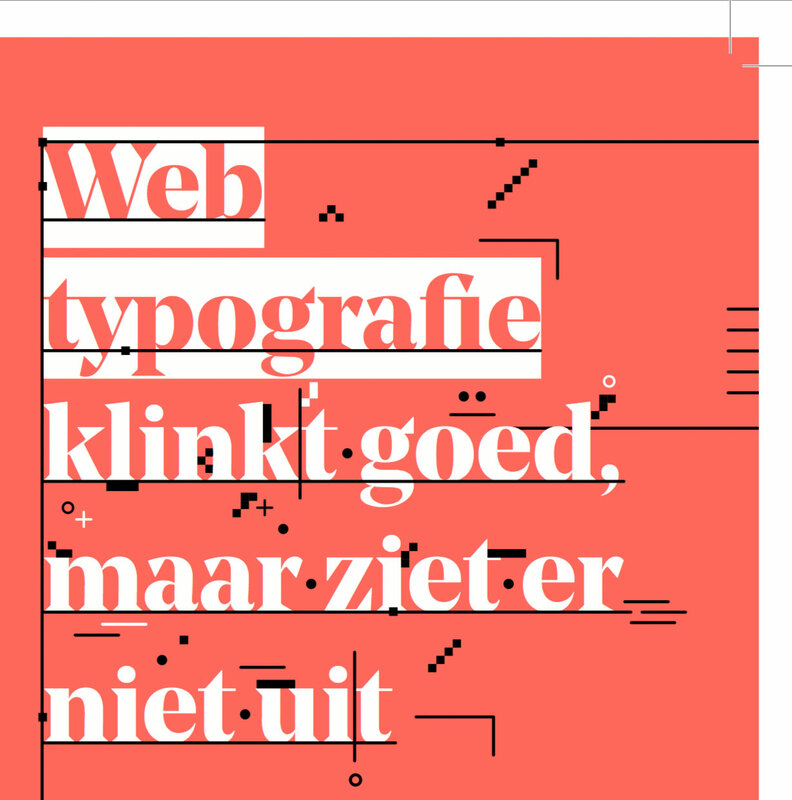 If you are Dutch, concerned about type, screens, interfaces and ergonomics & want to flex up your brains, come over. Organised and presented by Grrr, what else should we say? Be there or be square.